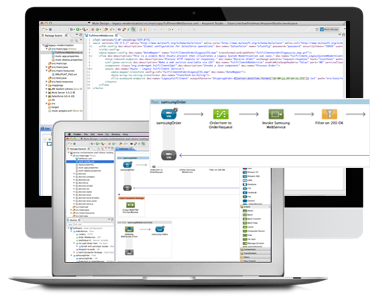 Use Anypoint Studio, the graphical design environment for Anypoint Platform™, with Mule runtime engine embedded to implement an ESB architecture that leverages your existing systems and exposes them to new applications. For companies looking to modernize and unlock the value of existing on-premises systems and applications, an enterprise service bus (ESB) architecture serves as a critical foundation layer for SOA. When deployed as an ESB, Anypoint Platform's Mule runtime engine combines the power of data and application integration across legacy systems and SaaS applications. To bring scalable integration to its court case management application, Justice Systems used Mule as an ESB to orchestrate message traffic without any errors. Expose application functionality as a service and create a standards-based architecture. Host existing services in Mule’s lightweight service container. Separate business logic from protocols and message formats for rapid development and long-term flexibility. 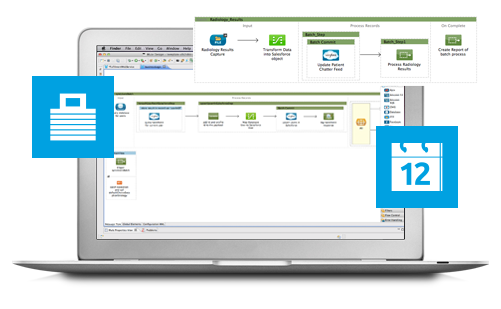 Coordinate services and expose the composite applications to support business processes. Direct messages based on their content or rules and filter, aggregate, and re-sequence them as needed. 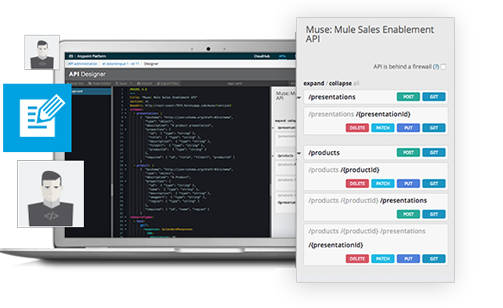 Deliver synchronous and asynchronous events, transactions, streaming, and routing patterns. Easily query and map complex data structures with the DataWeave data query language. Transform data to and from any format across various transport protocols and data types, or enhance incomplete messages. Move millions of records between applications or data sources using Mule’s built-in batch capabilities.